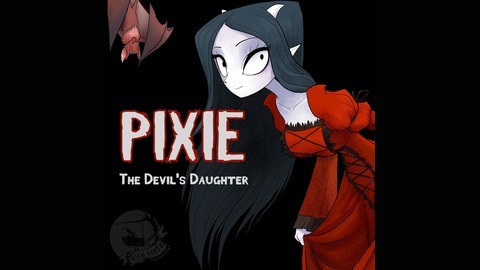 Pixie is a serialized story for all ages about a sad and lonely demon whose desire to create beautiful pictures angers her father Louie (who just happens to be the Price of Darkness). 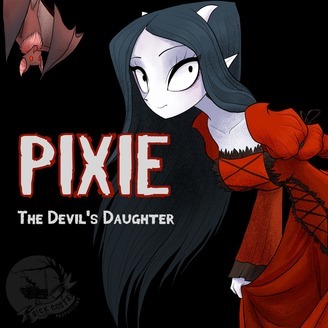 Accompanied by her best friend, a bat named Waine, Pixie searches for a way out of her evil father’s kingdom before he can forever crush her dreams and force her to become the kind of demon she doesn’t want to be. In the Series Finale, Pixie and Waine find themselves face to face with her father Louie with the exit to Hel only a few feet away. Visit PixieShow.com for cast information, merchandise, and more! Written and Produced by Rick Coste. Past projects include Inhale, The Behemoth, Bryar Lane, Is There Anybody Out There? ,Carbon Dreams,Scotch, Charlie's Mailbox, The Fiona Potts Interview , Izzy, and Waterguns & Rainbows.